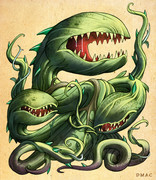 shep: ...a huge fly trap to eat away some crew, a "dart thrower" plant, and some alien trees and shrubbery. Help me, Cardboard-Warriors, you're my only hope! I've no idea for a 'dart plant', but how big do you need the flytrap? I sent him some of these guys. This does have the wheels turning. 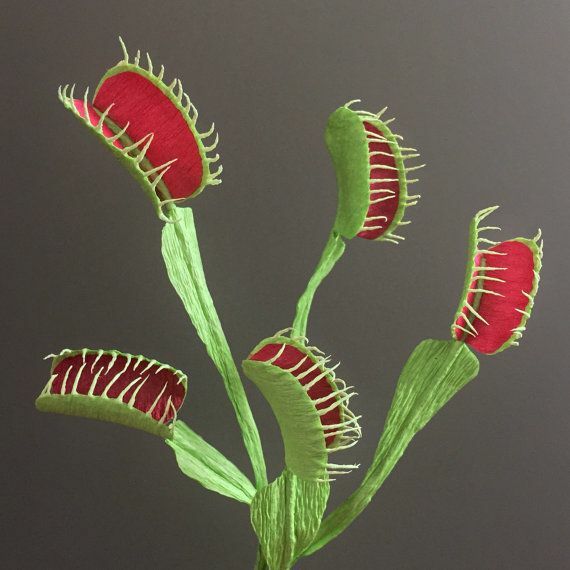 There really should be a Venus Fly Trap model. I would be pretty dang easy. I might have to work on that. I don't know how many of you have tried raising them, but it was always a race to see if new stalks would pop up before the old ones died. You wouldn't have to worry with a paper one. Just don't over-water. Does anyone know where I can get the files on the thread below? The links are broken. I forgot about the PostImage debacle. 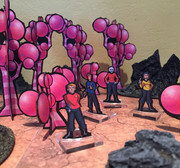 Okay, if I continue work on the Venus Flytrap plant, my gut says that I should go with the bold red interior instead of the native traps' plain interior. I decided to turn the base of the stalks into the tabs. The outside of the trap/underside of the leaf/stalk now has a wider border. The shaded line on the leaves gets a crease and the middle of the two sides of the trap get folded. Outer hairs also get folded inwards. I'd shoot for 65# cardstock. I'll do a test build when I get back from the country, unless someone else wants to play with it. shep, the tabs should not be glued together when you glue the fold-over leaves and traps. 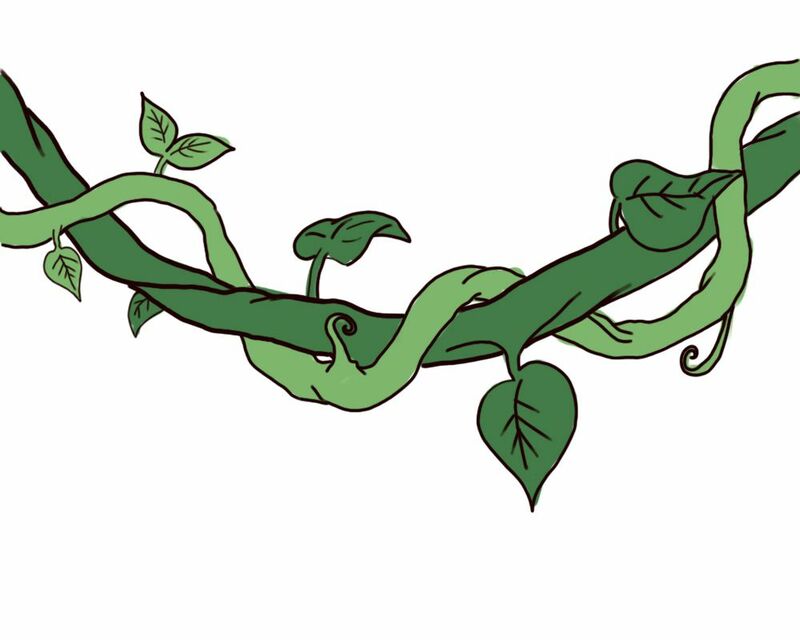 I picture having some of the tabs overlapping to get the leaf stems close together. The other three tabs glue to the base to give stability. Did start cutting things out last night, and I think I want to go with longer 'feelers' around the trap. 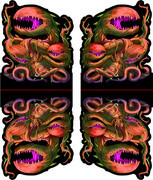 I am going to make the borders green, not black, and vary the sizes of the traps. It's a good thing I have learned to work from copies. Varying the size of the traps turned into a disaster. I'll have to figure out a good way to do that tonight. I'm determined to get my first version built tonight. Well, no, it wasn't done last night. Edging all those feelers is a pain. If you build the newer version, cut close to the edge of the feelers so the white paper will not stand out too badly against the very light green-gray feelers and save yourself some edging.